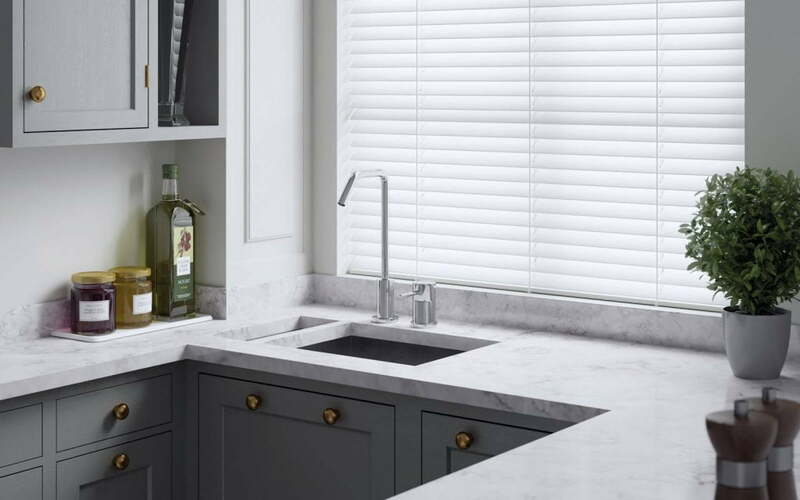 Our faux wooden venetians are made from a polyvinyl material that is impervious to water. This makes them perfect for moist environments such as kitchens and bathrooms. If you want more information about our wooden venetians or any of our other made to measure products, book a free, no-obligation consultation with Surrey Blinds & Shutters using the form below.